Grim news: Singer Katy Perry, age 29, has announced that she suffers from a rare disorder that makes her feel more like a young teen than a grown adult. 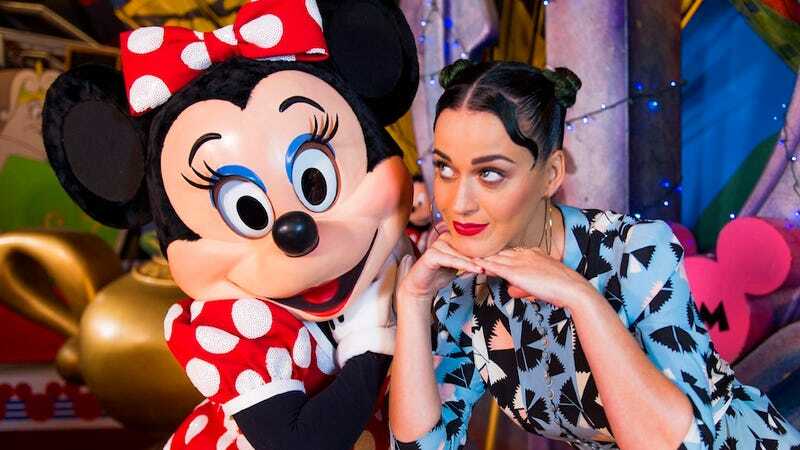 When asked by People about her upcoming 30th birthday, the singer revealed that she "still [feels] 13 on the inside," which, presumably, is less about liking cartoons and neon colors and more about feeling confused about her body and wanting her mom to get out of her room. "Birthdays are a big thing for me. We always have a themed party. It's a good excuse for me to bring my friends together and go buck wild," Perry added, perhaps forgetting that her parents will only be allowing 5 friends to sleep over and that they have to be quiet by midnight since her dad has to work in the morning. Also, as is typical for a party of women who feel like 13-year-old girls, there will be no booze and no boys. Our thoughts go out to the Perry family in this troubling time. If you are suffering from a similar case of arrested development, please look into the following illnesses: Jack disease, Benjamin Button syndrome, 13 Going on 30 disorder and the Big epidemic. Help is out there.